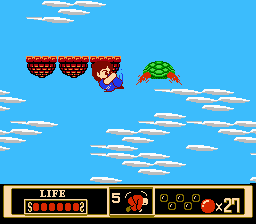 NES Jackie Chan's Action Kung Fu (USA) in 16:32.75 by Baxter, Randil & Alyosha. Jackie Chan and his twin sister Josephine were great kung fu fighters in China and trained under a great master. One day when Jackie and Josephine were out walking, the Master's great enemy, The Sorcerer, appeared. The Sorcerer had come to rule over China and knew the twins would stand in his way, so he cast a spell to make Josephine disappear. Now it's up to Jackie Chan to follow after the Sorcerer and battle his minions in order to rescue his sister and save China.